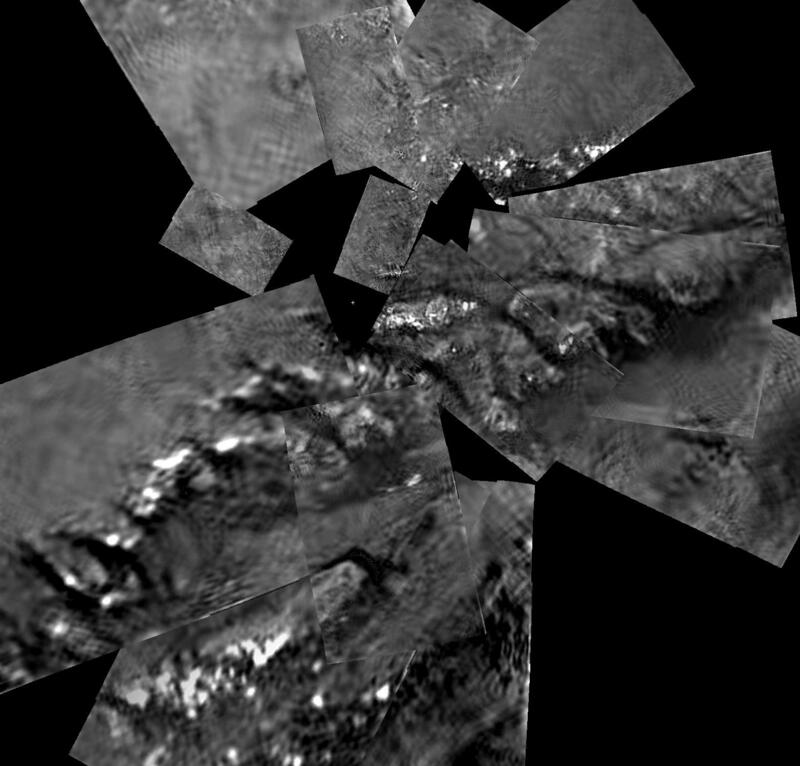 Saturn's largest moon reveals extraordinary features that continue to baffle planetary scientists. 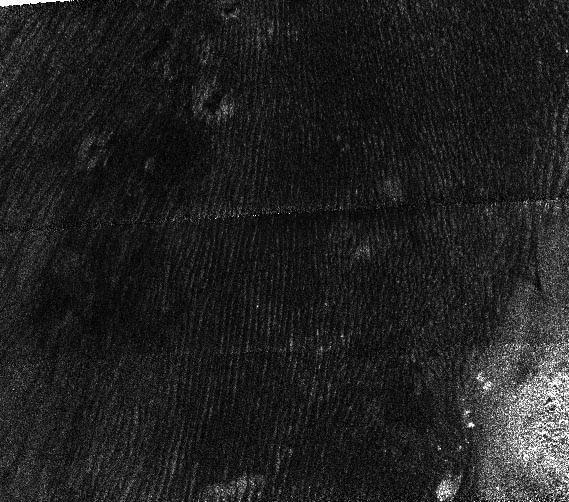 Therefore new ways of interpreting these features must now be explored. 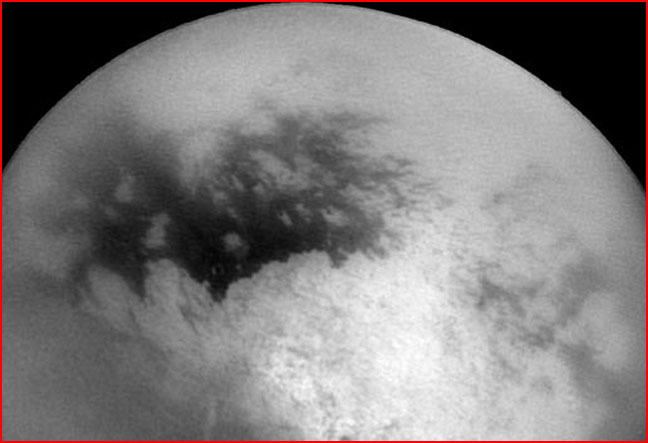 The closer one gets to Titan, the farther from familiarity one goes. 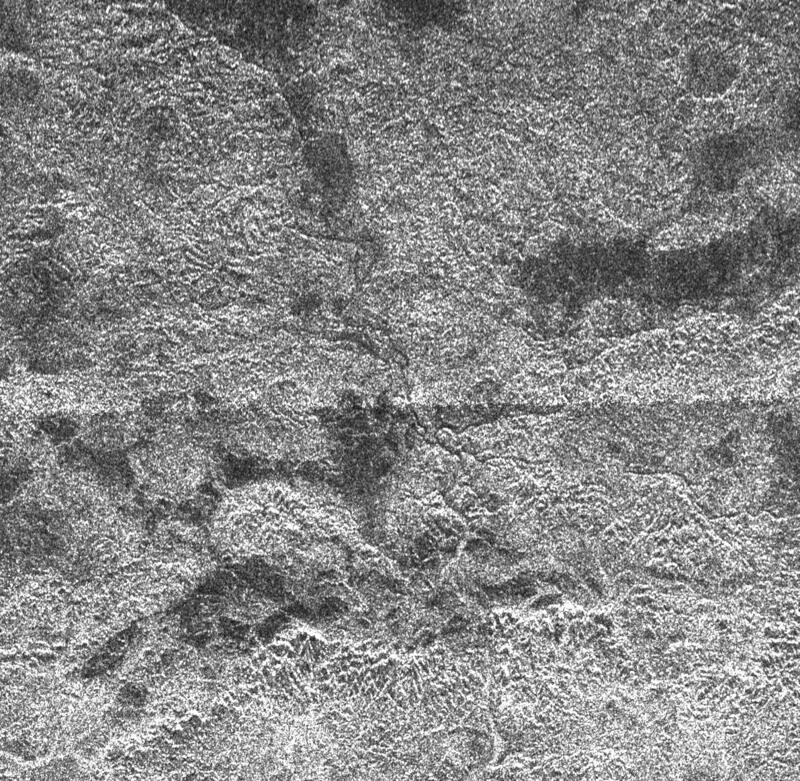 Titan ranks fifth among the rocky planets, with a diameter of 5150 kilometers. It is larger than Mercury (4878 kilometers), the Moon (3474 kilometers) and Pluto (2274 kilometers). Of all the moons in the solar system, only Ganymede is larger than Titan, with a mean diameter of 5262 kilometers - a mere 112 kilometers difference. 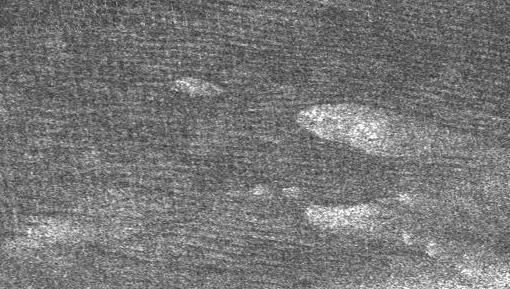 However, what makes Titan stand out from all the other moons is that it has an atmosphere - something even Ganymede doesn't have. No one knows why Titan has an atmosphere or what sustains it in such a low-gravity environment. The primary constituents are nitrogen - over 80% - and methane. The atmosphere is very dense, which is another mystery for NASA analysts. Over the eons of time that Titan is supposed to have been in existence, the low gravity and intense cold should have contributed to the reduction of atmospheric density and not its maintenance. According to standard theories, the reason for the tenuous atmosphere on Mars and the lack of atmosphere on most moons is that they lack the gravitational attraction necessary to keep gases clasped tightly to them. Many objects supposedly form with atmospheres, but if they aren't large enough, they lose it to space. Once a body reaches a watershed point of atmospheric decline, the stream of high-energy particles from the sun accelerates the process until most of what remains is dragged away. 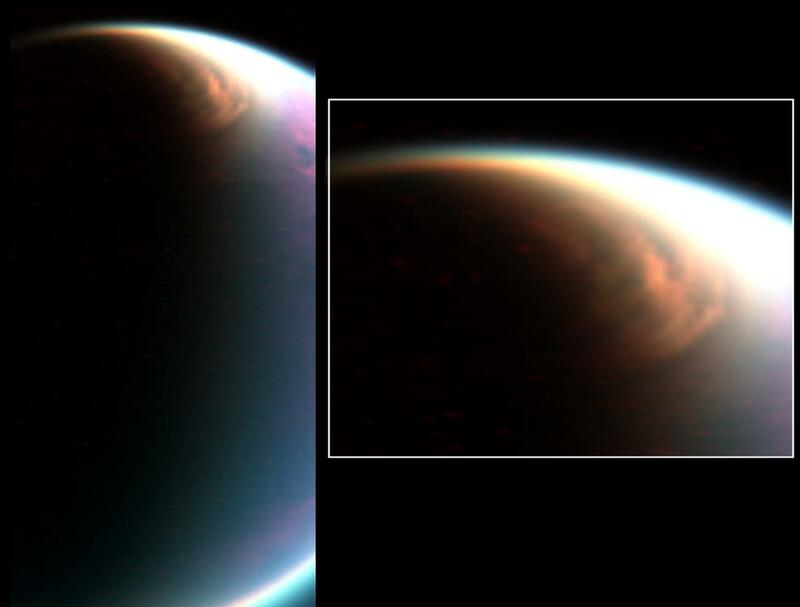 It is possible that Titan's atmosphere is constantly being replenished. An area near a significantly brighter region known as Xanadu, a continent-sized area of chaotic terrain, has a red spot - NASA scientists have been wondering what it means for the last three years. It is thought to be one of several things: a "cryovolcano" spewing out warm material from the interior, the remnant heat from an impact event or the top of a mountain range that is covered in a radar-reflecting substance, making it appear brighter than the surrounding terrain. From an electric universe standpoint, the mountain tops may be glowing with a St. Elmo's Fire form of plasma, making them highly reflective of radar light, just as the mountains on Venus appear exceptionally bright. 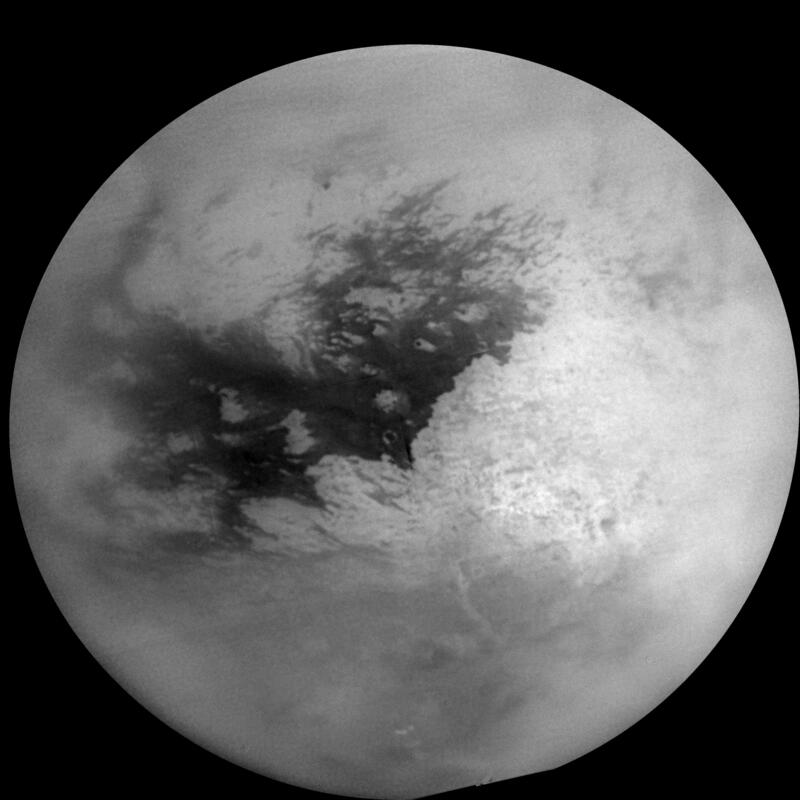 Titan is certainly the most intriguing member in the panoply of sisters and brothers orbiting their enormous parent planet, Saturn. Now numbering sixty siblings, Saturn's moons have provided astrophysicists and astronomers with dumbfounding images that stretch the boundaries of credulity. Several Thunderbolt Picture of the Day articles have addressed the challenges imposed by those images and discovered they all share characteristics that could have been generated by one thing: intense plasma discharges in the form of gigantic electric arcs. 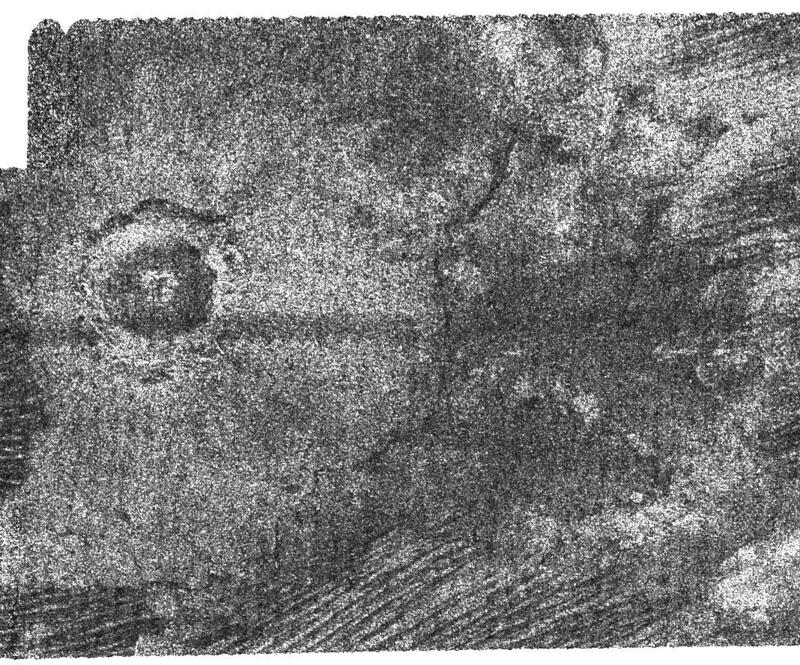 Huge craters with folded rims and wide, flat bottoms - often with more than one tier or concentric basin and smaller craters around the edges, parallel fractures, large domes and "sand dunes" covering many square kilometers are like those discovered by the HiRISE mission currently orbiting Mars. 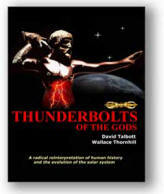 Past Thunderbolts articles have linked those observations to rotating currents of electricity carving the structures out of solid rock, pulverizing the debris into dust and larger granules, and then piling it up in glassified drifts sometimes hundreds of meters high. 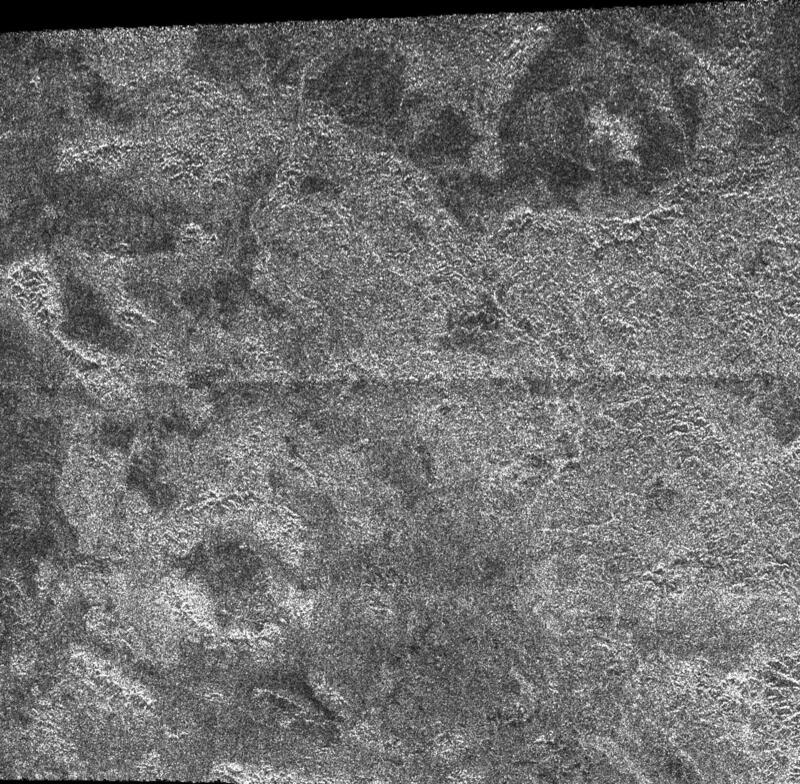 On Titan, the so-called "dunes" are also quite large, being visible from the Cassini orbiter thousands of kilometers away. 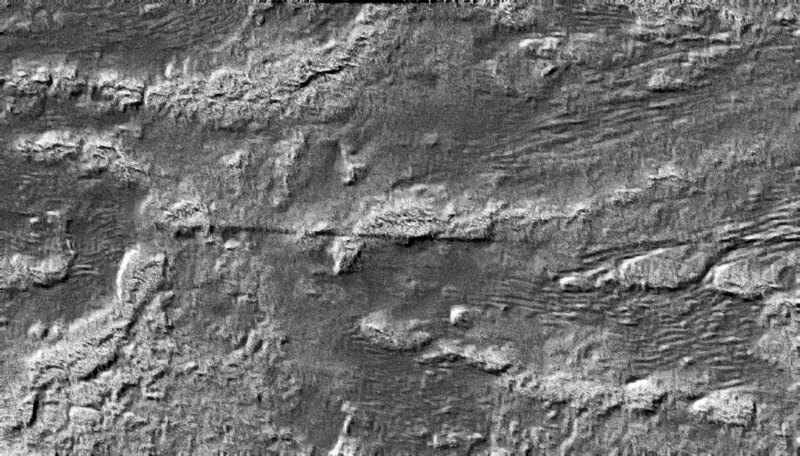 They are also quite distinct with well-defined, almost solid-looking ripples and waves that pass over craters and around what are called on Mars "yardangs." The dunes appear to follow the prevailing wind patterns, but they also have some unusual characteristics that may mean they are not wind-generated in the conventional sense. 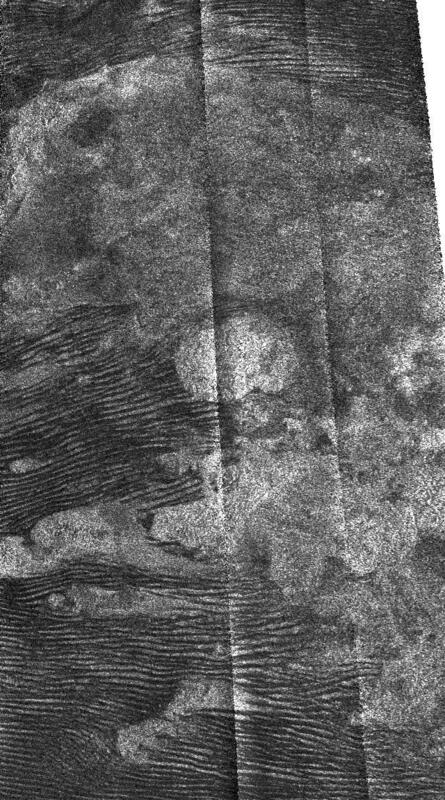 Many of the dunes look like fingerprint patterns - they have whorls and arches that are criss-crossed by other ripples in a perpendicular arrangement, looking almost exactly like the dune fields found along the coast of Namibia that extend nearly as far as the border with South Africa. 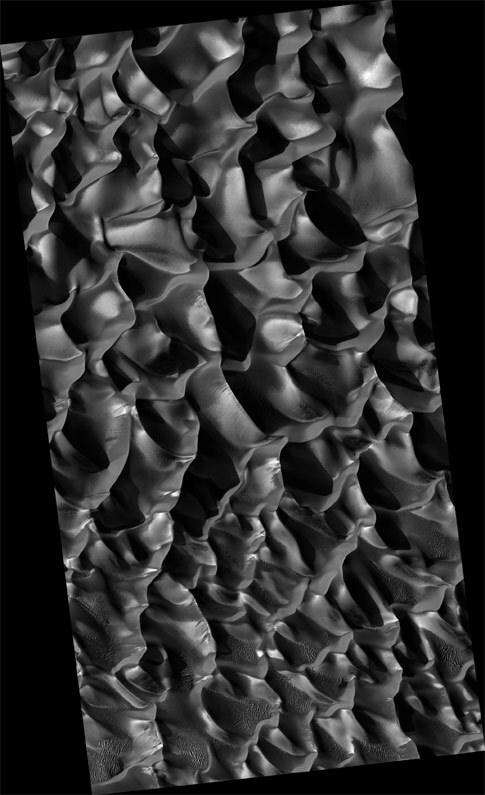 Once again, on Mars the dunes are theorized to be the result of electric arcs forming patterns that are very similar. When they excavate material from the strata, they blow it in upward along the path of current flow where it then falls away, forming what are called "wind streaks." Because the granules are charged, they are attracted or repelled from one another, depending on their polarity. Therefore they will align themselves in much the same way that iron filings will align themselves with the magnetic field of a bar magnet. 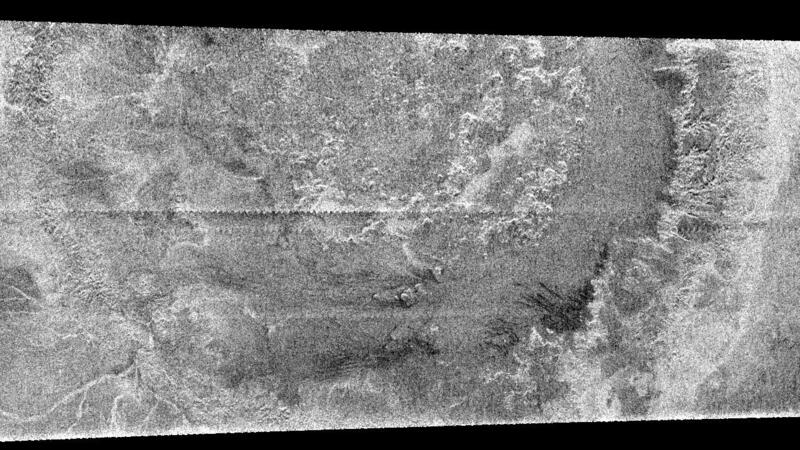 Such streaks and dunes are found on Venus, as well. 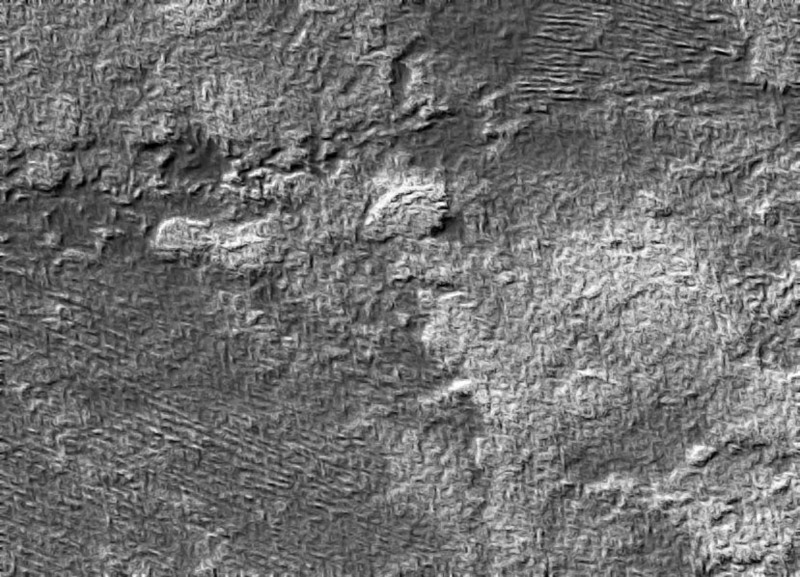 Most of the time, they are associated with craters and sinuous rilles - the edges of both formations are often dusted with dark or light colored grains. 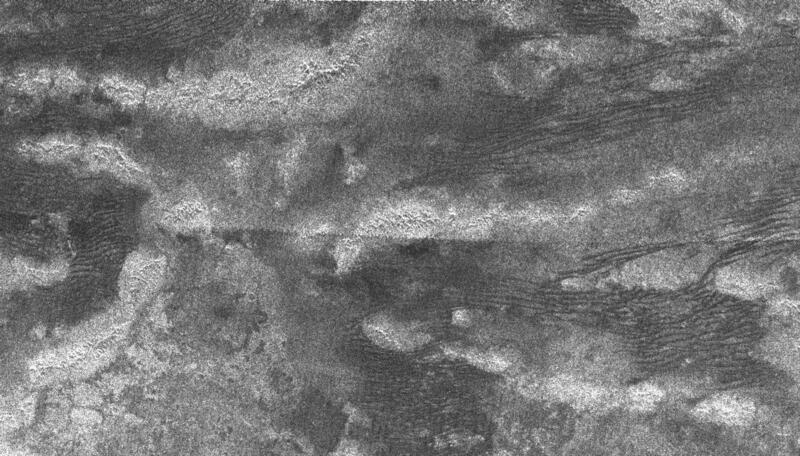 Titan's dunes are so similar that we predict "blueberries," or other spherical pebbles and stones may be found if a rover-type lander ever pays a visit.